NAPCO’s Poly-Glass coatings are the industry leaders in Bathroom and Kitchen Resurfacing. We at Absolute Resurfacing are proud to be the exclusive distributor for Australia and New Zealand. Main and ensuite bathroom and even the laundry can be given an updated modern look using a vast range of Dulux colours and finishes. Wall tiles of any colour can be successfully resurfaced with a modern gloss, satin or matte finish in any Dulux colour. Baths, basins and shower trays can also be restored with that new finish. NAPCO’s Poly-Glass coatings began development in 1979 focusing on bathrooms. 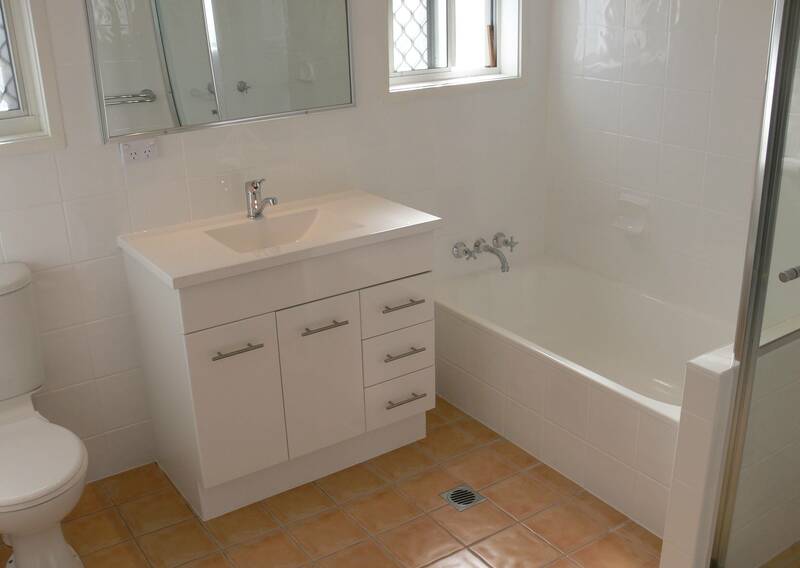 As the bathroom can be a harsh environment, NAPCO needed to make a surface coating that was durable and hard wearing. The latest 320 Poly-Glass coatings are Lower in VOC’s, super fast drying, hot water tolerant, UV resistant, and the hardest wearing in the industry to date. The super fast dry time, 2 hours, also gives quicker turn around times and far less nasty fumes hanging around for the customer. We also supply NAPCO’s Flintstone-Stone II range of coating, to spray vanity tops in a faux granite finish to contrast the new modern look. Add on a few new chrome accessories and any bathroom will be the envy of your customers friends. After many years of supplying Resurfacing products we have gotten to know the responsible Resurfacers in the industry. This is why we created a network of the ones who met our standards so that customers could easily look in the one place to find their local Professional Resurfacer.